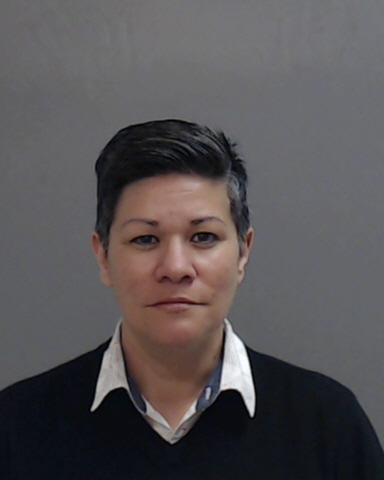 State investigators arrested a former employee of the Starr County district attorney’s office on Thursday for allegedly voting with a dead person’s identity in the March 2016 Democratic primary. Bernice Garza, 44, ran the Crime Victims Unit for the 229th District Attorney’s Office in Starr County until her termination in April 2018. The grand jury indictment charged Garza with two counts of illegal voting and one count of providing false information on a voting application for allegedly voting under the name Hortencia Rios, a woman who died in June 2007. The indictment alleges Garza applied for and voted through an early voting ballot under Rios’ name and signed her own name as having assisted Rios. Garza’s attorney Martie Garcia Vela, a former assistant district attorney with the DA’s office, could not be reached for comment. Rumors of Garza’s pending arrest swirled through the county as District Attorney Omar Escobar, with assistance from the Starr County Special Crimes Unit, launched an investigation into voter fraud in January 2018. That investigation led to the arrest of seven people, including three vote harvesters, or politiqueras. The case against Garza, however, originated before the DA’s office launched the investigation, according to Escobar, who said her arrest actually stemmed from a complaint that was filed against her in 2016 with the Texas Secretary of State’s office. Escobar said he was aware of the investigation against her and cited it as one of the reasons she was terminated last year. Garza, however, filed a federal lawsuit against Escobar in August 2018 alleging wrongful termination. In the lawsuit, she claimed Escobar fired her for working on her sister’s unsuccessful campaign for county judge and that the people arrested as part of his voter fraud investigation politically opposed him. Escobar has denied the arrests were politically motivated and said they are still investigating voter fraud cases, some of which may be forwarded to the AG’s office. Garza was released Thursday on a $7,500 personal recognizance bond and is scheduled to be arraigned in March.